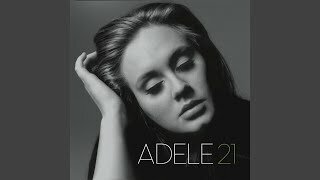 Provided to YouTube by Sony Music Entertainment Set Fire to the Rain · Adele / Adele / 愛黛兒 21 ℗ 2011 XL Recordings Ltd Released on: 2011-02-22 Composer, Lyricist: Adele Adkins Bass, Guitar, Piano, Composer, Lyricist, Mixing Engineer, Producer: Fraser T. Smith Drums: Ash Soan Strings: Wired Strings Engineer: Beatriz Artola Assistant Engineer: Isabel Seeliger-Morley Engineer: Steve Price Performance Arranger: Rosie Danvers Mastering Engineer: Tom Coyne Auto-generated by YouTube. 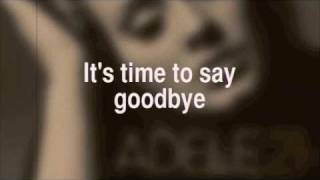 Provided to YouTube by Sony Music Entertainment Someone Like You · Adele / Adele / 愛黛兒 21 ℗ 2011 XL Recordings Ltd Released on: 2011-02-22 Composer, Lyricist, Producer: Adele Adkins Piano, Composer, Lyricist, Producer: Dan Wilson Mixing Engineer: Tom Elmhirst Engineer: Phillip Allen Mastering Engineer: Tom Coyne Auto-generated by YouTube. 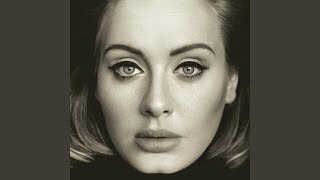 Provided to YouTube by Sony Music Entertainment Rolling in the Deep · Adele / Adele / 愛黛兒 21 ℗ 2010 XL Recordings Ltd ℗ 2011 XL Recordings Ltd Released on: 2011-02-22 Composer, Lyricist: Adele Adkins Acoustic Guitar, Background Vocal, Bass, Electric Guitar, Percussion, Composer, Lyricist, Producer: Paul Epworth Piano: Neil Cowley Drums: Leo Taylor Trumpet: Noel Langley Tenor Saxophone: Ray Carless Mixing Engineer: Tom Elmhirst Recording Engineer: Mark Rankin Coordinator: Lindsay Chase Mastering Engineer: Tom Coyne Auto-generated by YouTube. 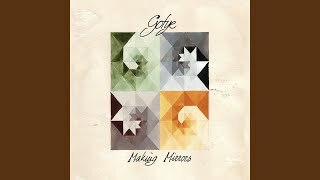 Provided to YouTube by Universal Music Group Somebody That I Used To Know · Gotye · Kimbra Making Mirrors ℗ 2011 Samples 'n' Seconds Records, under exclusive license to Universal Republic Records, a Division of UMG Recordings, Inc. Released on: 2011-01-01 Studio Personnel, Mixer: Francois Tetaz Studio Personnel, Assistant Mixer, Producer: Wally De Backer Associated Performer, Vocals: Kimbra Associated Performer, Bass Guitar: Lucas Taranto Studio Personnel, Mastering Engineer: William Bowden Composer Lyricist: Wally De Backer Auto-generated by YouTube. 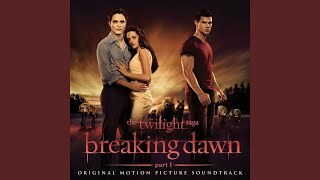 Provided to YouTube by Warner Music Group It Will Rain · Bruno Mars The Twilight Saga: Breaking Dawn - Part 1 ℗ 2011 Elektra Entertainment Group Producer: Alexandra Patsavas Viola: Andrew Duckles Engineer: Ari Levine Producer: Bruno Mars Violin: Charlie Bisharat Assistant Mixing Engineer: Chris Galland Executive Producer: Craig Kallman Assistant Mixing Engineer: Erik Madrid Violin: Josefina Vergara Executive Producer: Julie Greenwald Mixer: Manny Marroquin Bass: Oscar Hidalgo Producer: Paul Katz Strings: Phredley Brown Masterer: Stephen Marcussen Digital Editor: Stewart Whitmore Orchestra Leader: Suzie Katayama Producer: The Smeezingtons Writer: Ari Levine Writer: Bruno Mars Writer: Philip Lawrence Auto-generated by YouTube. 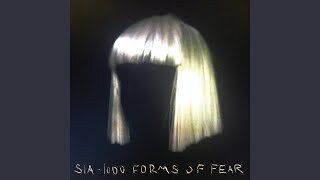 Provided to YouTube by Sony Music Entertainment Elastic Heart · Sia 1000 Forms Of Fear (Deluxe Version) ℗ 2014 Monkey Puzzle Records, under exclusive license to RCA Records Composer, Lyricist: Sia Furler Producer: Diplo Co- Producer, Engineer: Greg Kurstin Composer, Lyricist: Thomas Pentz Composer, Lyricist: Andrew Swanson Engineer: Jesse Shatkin Auto-generated by YouTube. Provided to YouTube by Sony Music Entertainment Bleeding Love · Leona Lewis Bleeding Love ℗ 2007 Simco Limited exclusively licensed to Sony Music Entertainment UK Limited Composer, Lyricist: Jesse McCartney Arranger, Composer, Lyricist, Engineer, Producer, Programmer: Ryan Tedder Assistant Engineer: Nate Atrtweck Assistant Engineer: Craig Durrance Mixing Engineer: Phil Tan Mastering Engineer: Vlado Meller Auto-generated by YouTube.